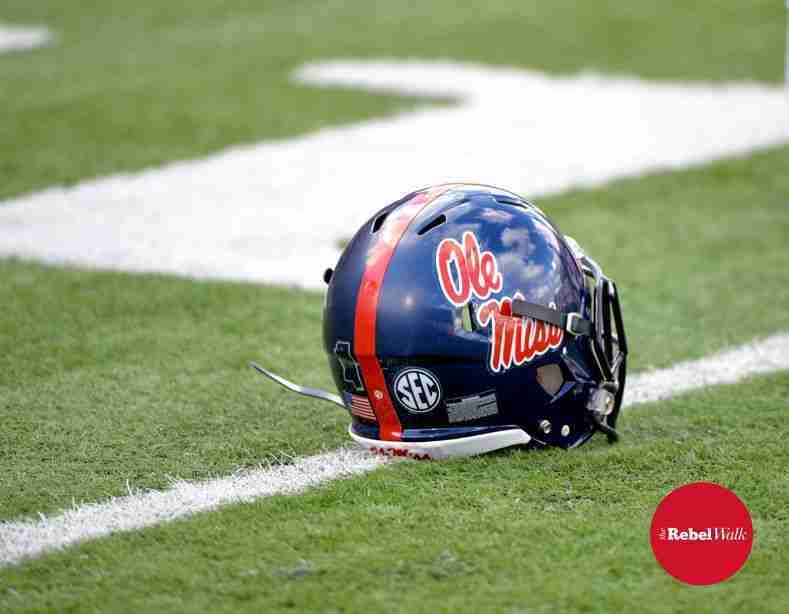 The Rebel Walk is pleased to bring you the Week 1 SEC picks of our own Southern Girl Rebel, Brandi Ratliff. See how your picks compare to hers! The wind is changing. Upward mobility is at an all time high in the SEC! Looking ahead at the schedules, depth charts, and developed talent, the season promises to bring some of the best match-ups yet! I’m ready for tents, tailgates, and top players to take the field!! Come on Football, WE ARE READY! The Tar Heels bring 17 starters back while the Gamecocks are working with fresh talent. Connor Mitch will be making his first collegiate start for South Carolina, but he has the help of experienced receiver Pharoh Cooper to get the job done. I love the old ball coach and think his coaching will win out! Let’s be honest for a second. I picked Vandy to win a few games last year— a few more than I would like to admit. So this year, I’m going to pick a few less. I have them finishing last overall in the conference. I would love to see them win all their non-conference games, and hope they do well, but for this game I’m erring on the side of caution. I’m a realist so I won’t try to overplay UL Monroe on their experience. Georgia will dominate. The Skyhawks had a decent season last year, but they will be no match for this power house Rebel team. If you’re not ready to watch the stack of NFL talent Ole Miss is boasting take the field, then what is wrong with you??? I’ve waited all year to see my Rebels play, and I will be there in white ready to cheer for them on Saturday! No surprise with this pick. Louisville could potentially come in and give the Tigers all they can handle in this game. Last year Louisville’s defense was ranked 5th in the nation, but Will Muschamp is heading up the Auburn defense this season and this will create a lot of “red face” joy for the fans watching! Hopefully even spawn a few memes! Auburn is strong offensively and Jeremy Johnson is considered a future Heisman candidate. I hope they keep it close. I said every game last year that the Hogs were better than their win/loss record. They kept it close with everyone and shut out both LSU and Ole Miss. Do not expect this game to be close. If Missouri were considered Varsity, SE Missouri would be the middle school team getting its shot to play against them. The two instate teams have only met twice ever. Remember when Bowling Green let Western Kentucky score 59 on them? Tennessee should have this game in the bag. An unranked A&M battles a 15th ranked Arizona State. The Sun Devils are on a 12-game winning streak from last season, but have never defeated an SEC opponent. The Aggies like to start off the year explosive and set the tone. Myles Garrett broke the SEC freshman sack record last season and was voted the team’s defensive MVP. I really think A&M can take this game, but I’m going with a safe bet. There’s a lot of Mississippi kids on this roster, and I think this coach is the Bees Knees! Another Week 1 sleeper. You can call this one before it begins. Time to see what Jim McElwain looks like in blue, orange, and jorts. I kid. Easy victory to start the season. Bama has one of the top defenses in the country and should easily be able to hold off Wisconsin’s run game. Offensively they may struggle, but should find their footing and keep the SEC looking strong moving into week 2. The Southern Miss from 2012 who went 12-0 then played and won 2 Bowl Games including the Hawaii bowl seems like only a faint memory. A late game on home turf might give them an edge, but at best they can hope to get two scores in before this Bulldog team who held the number one spot for 5 weeks last season takes off. 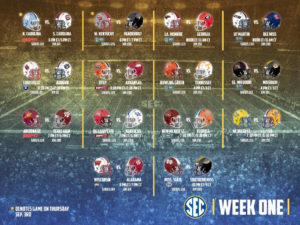 Check back with TheRebelWalk.com each week to find out who Brandi has picked in each of the SEC games. Previous article SEC Preview: The Wild, Wild West! Brandi is an Ole Miss alum, football pundit and SEC writer.